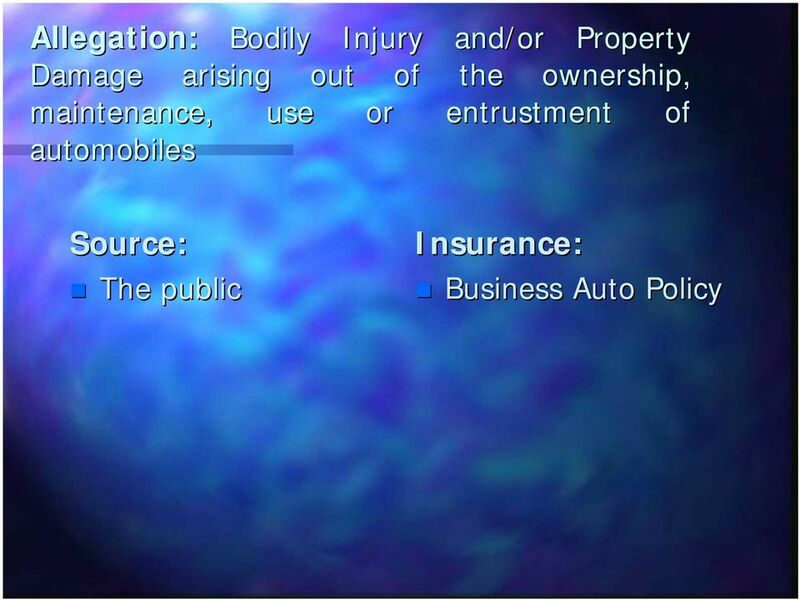 Download "INSURANCE OVERVIEW. 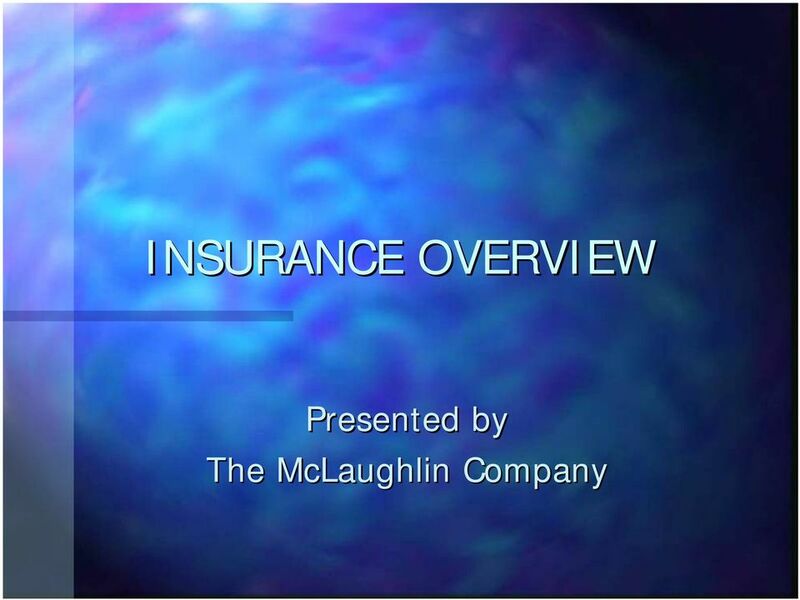 Presented by The McLaughlin Company"
2 Is the Liability Loss Covered? 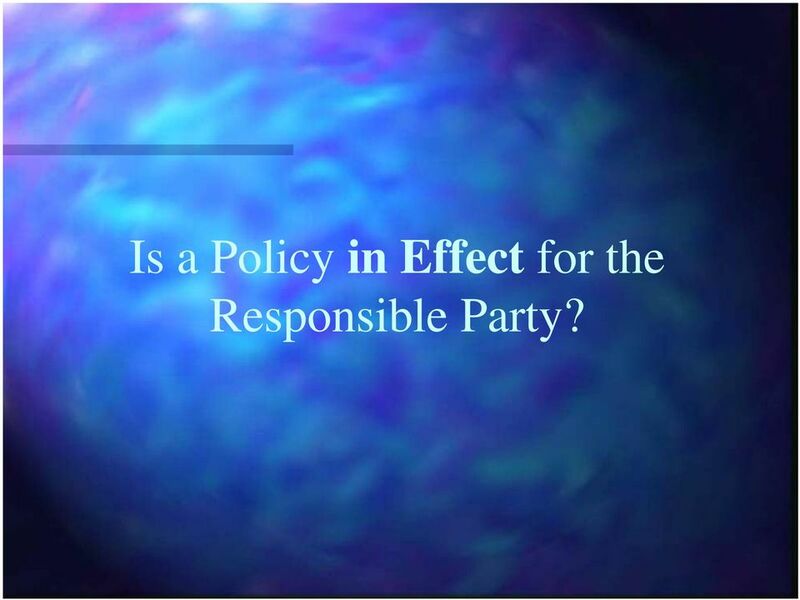 Was policy in effect for responsible party? 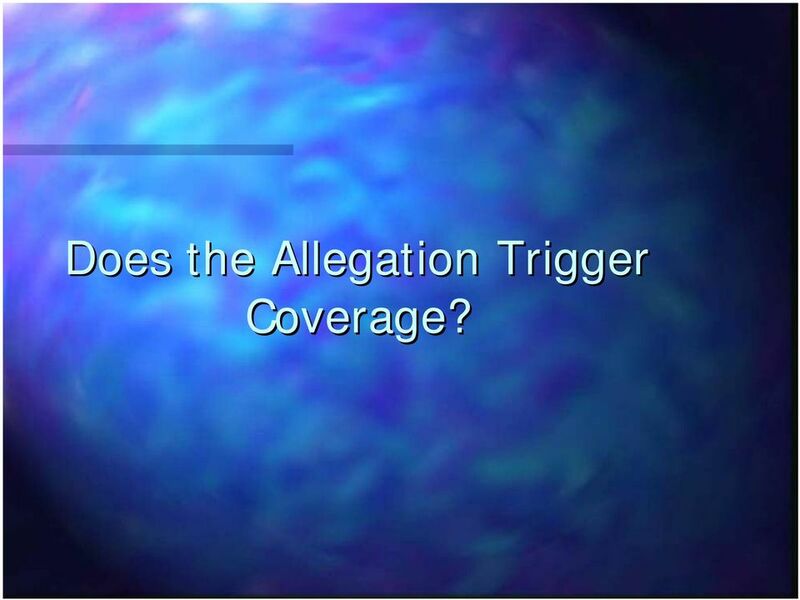 Does the allegation trigger coverage? 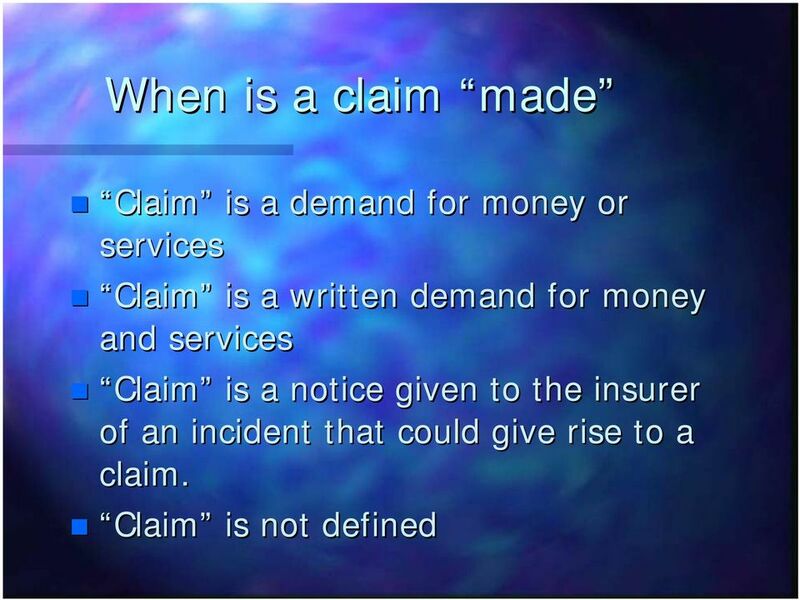 Is the entity that is being asked to pay an insured under the policy? Is the loss excluded for this insured? 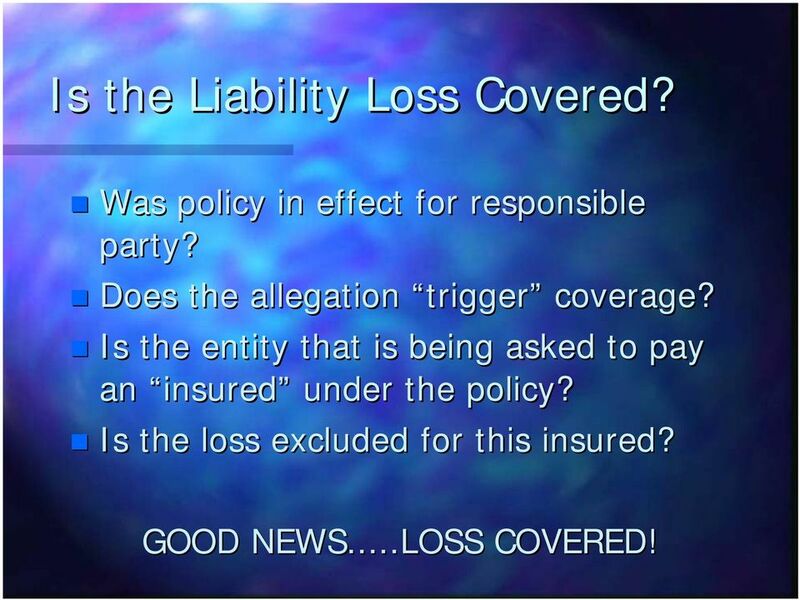 GOOD NEWS...LOSS COVERED! 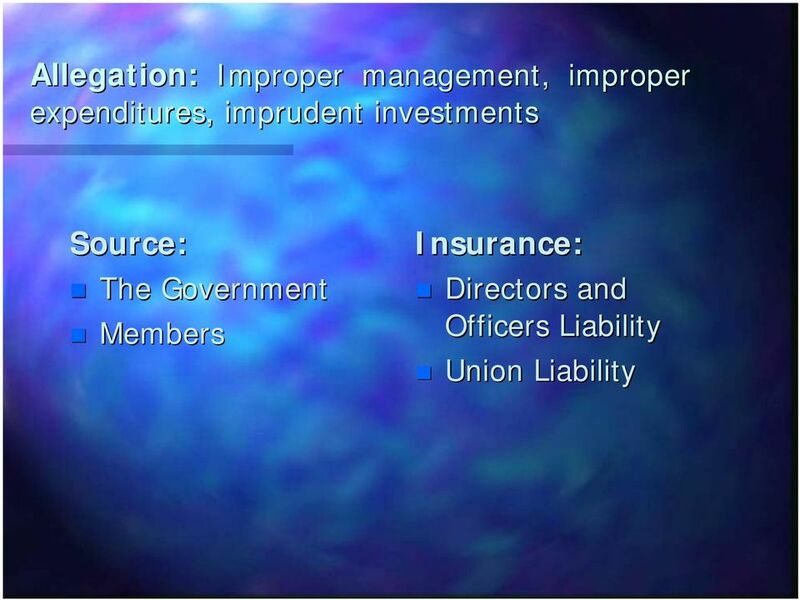 3 Is a Policy in Effect for the Responsible Party? 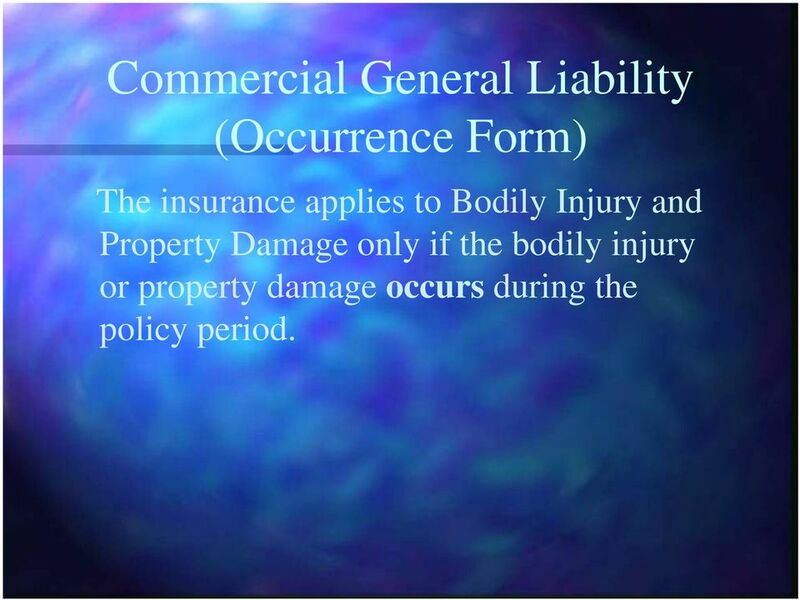 5 Commercial General Liability (Occurrence Form) The insurance applies to Bodily Injury and Property Damage only if the bodily injury or property damage occurs during the policy period. 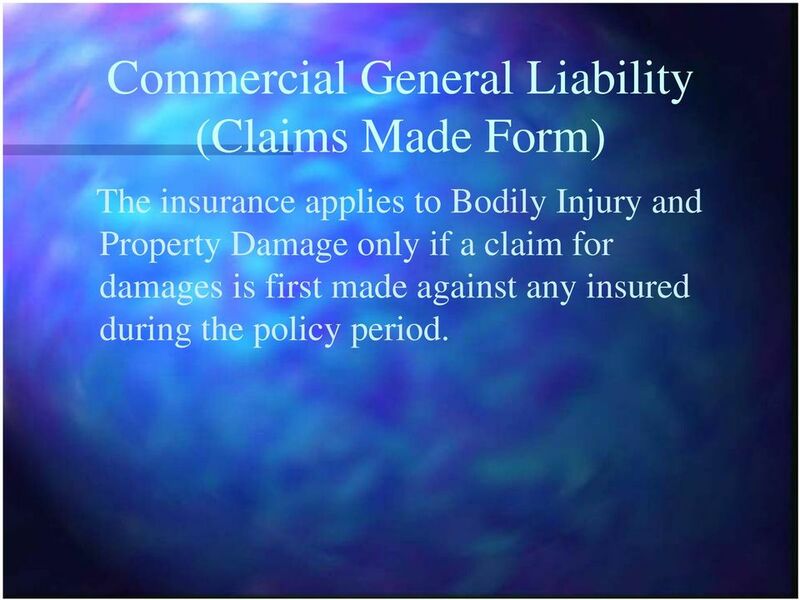 6 Commercial General Liability (Claims Made Form) The insurance applies to Bodily Injury and Property Damage only if a claim for damages is first made against any insured during the policy period. 8 Does the Allegation Trigger Coverage? 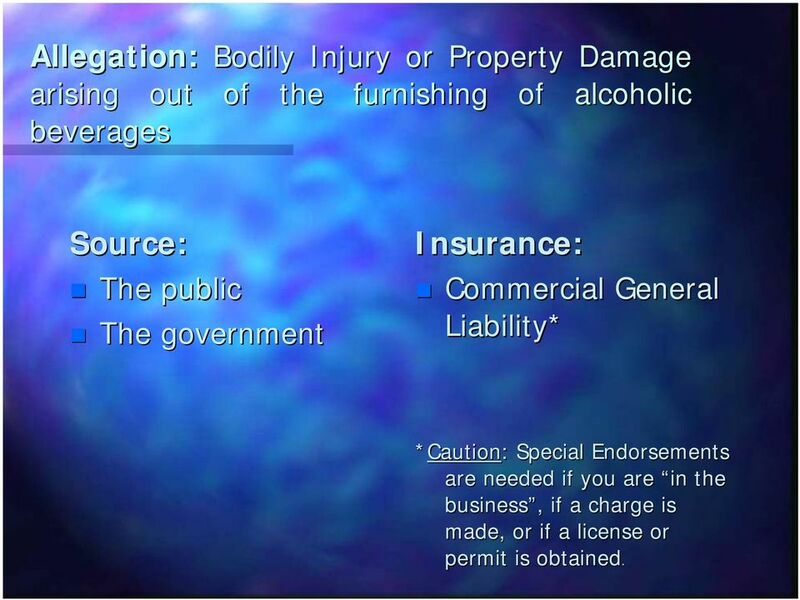 14 Allegation: Bodily Injury or Property Damage arising out of the furnishing of alcoholic beverages Source: The public The government Insurance: Commercial General Liability* *Caution:: Special Endorsements are needed if you are in the business, if a charge is made, or if a license or permit is obtained..
26 Is the entity being asked to pay an insured under the policy? 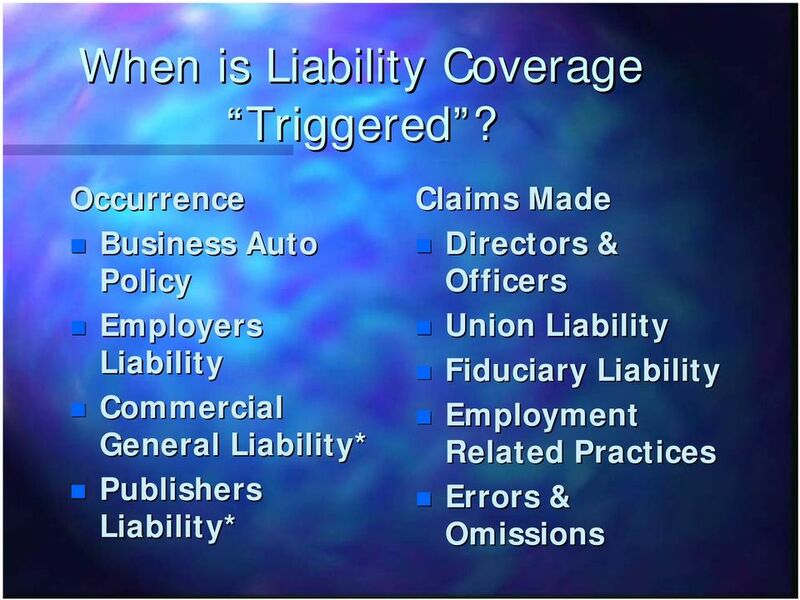 32 Fiduciary Liability The specific plan designated in the policy The plan sponsor Any individual serving as a trustee, director, officer or employee of the plan Any other person or organization specified in the policy. 35 Is the loss excluded for this insured? 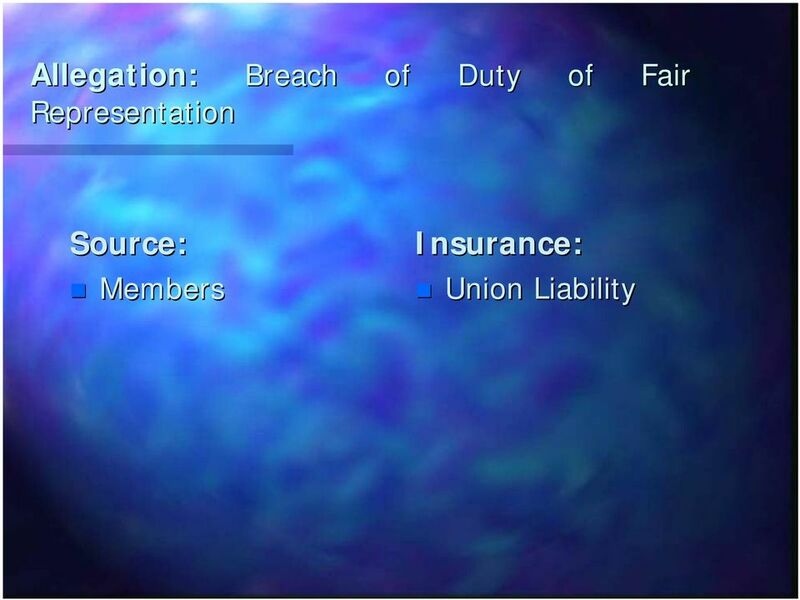 37 Decision Tree Claim Paying Ability, Insurer Financial Ratings Scope of Coverage Level of services by Insurer, Producer (us), TPA Services and Insured (you) Reasonably anticipated net cost. 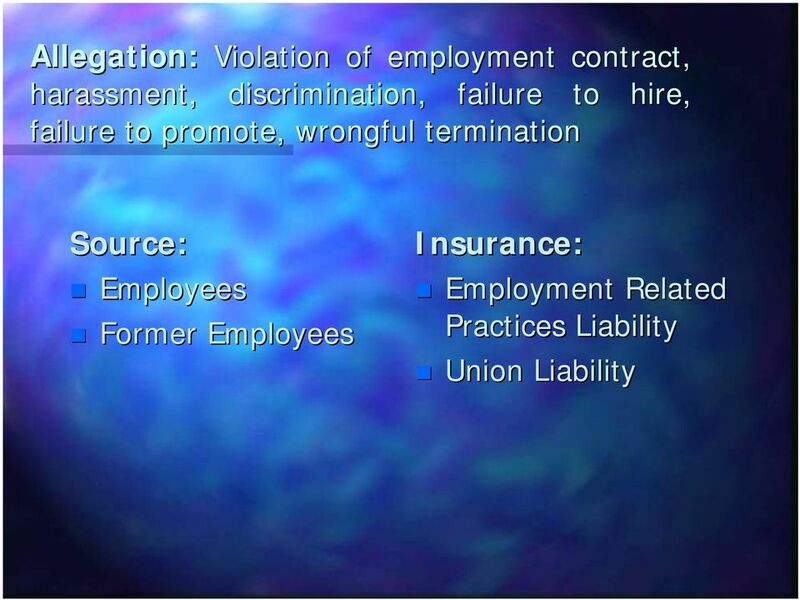 38 Contractual Liability Exclusion It is important to make sure your insurance coverage matches the exposures you are assuming under your contracts! 43 Have you ever... hosted a fund raiser or casino night? sponsored a Labor Day Picnic where beer was sold? held an event where you were required to obtain a permit or license to serve alcohol? 45 What is Reasonable Force? 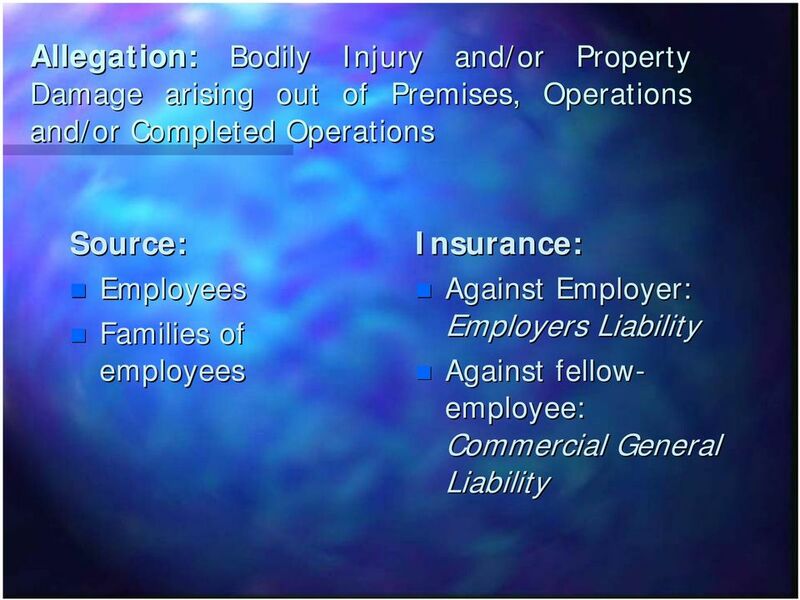 The definition of reasonable force will vary from state to state. A court in New York is likely to interpret this differently from a court in Oklahoma where a Make my Day law was recently enacted. 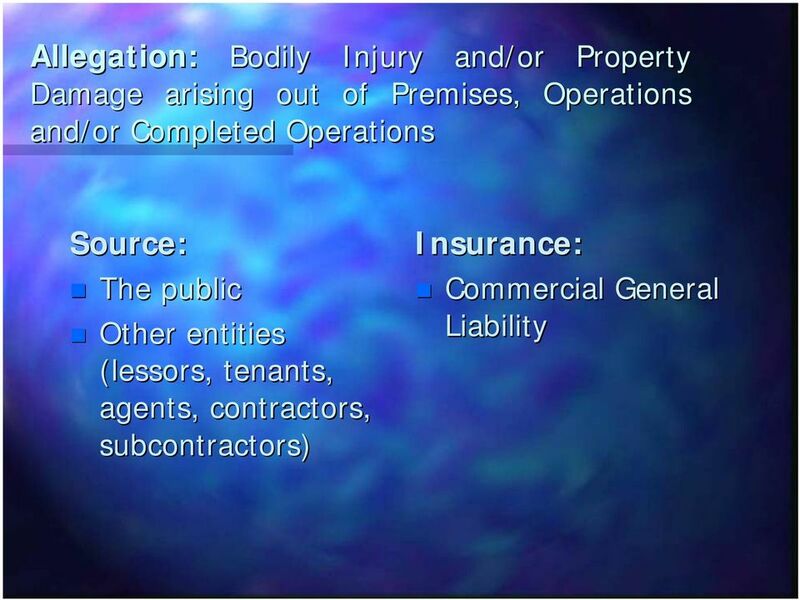 COWLEY COUNTY, KANSAS REQUEST FOR PROPOSAL General Property & Liability Insurance SUBMITTAL DEADLINE June 28, 2013 RFP NUMBER 13-001 CONTACT Jeremy Willmoth, County Administrator GENERAL REQUIREMENTS 1. COVERAGE UNDER A CGL POLICY. 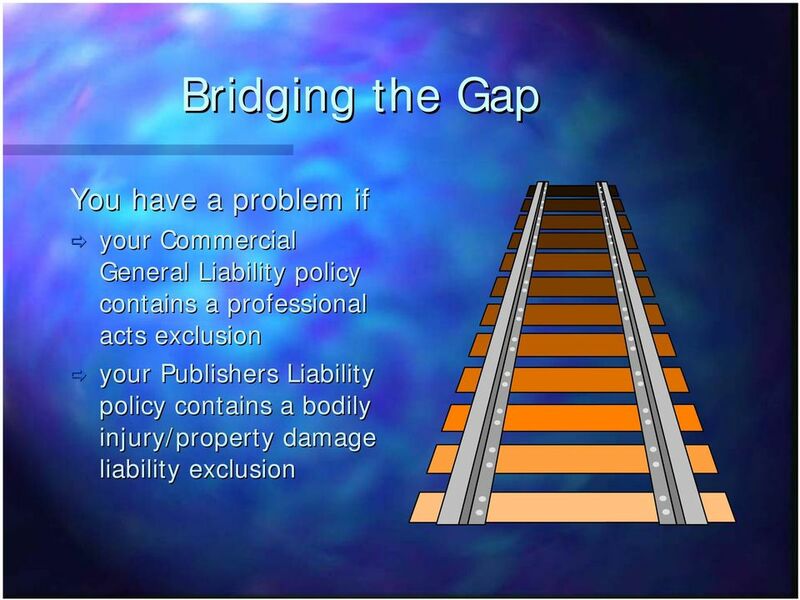 A. CGL coverage is Commercial General Liability Coverage. 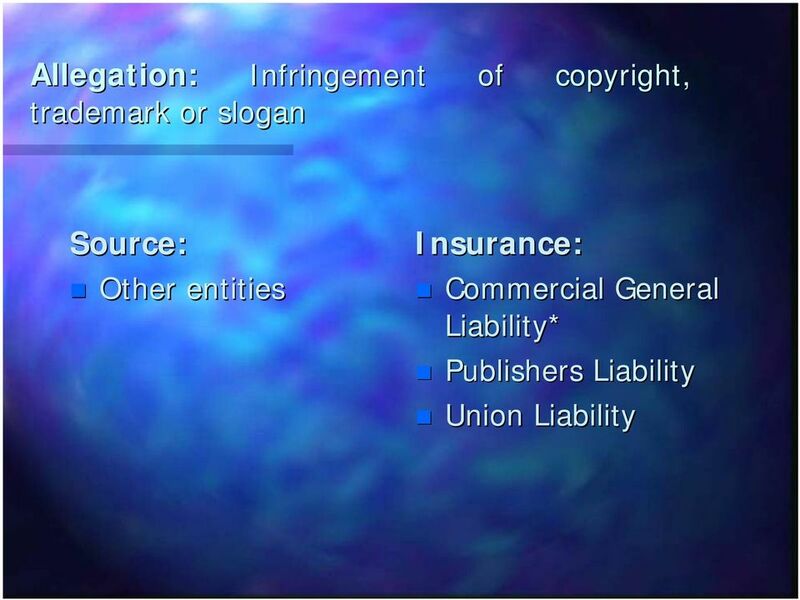 WHATS NEW ISO Form Changes Commercial General Liability Form Effective Date (4/13) Materials are copy written by Insurance Services Office, Inc.